The report is released just a couple of weeks before the large IPCC report on Climate Change: Impacts, Adaptation and Vulnerability is presented in Yokohama, Japan. 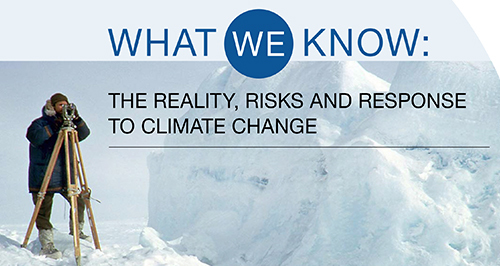 The American Association for the Advancement of Science has written this report to give Americans a clear and short overview of what scientists know about climate change and why there is an urgent need to act. The scientists are concerned that the public has not understood the gravity of the climate change problem and by using a risk perspective they hope that people will think about minimizing the risks from climate change. Download the report at the webpages of the American Association of the Advancement of Science (AAAS).